Today we very sadly inform you of the passing of Chrissy Stubbert, the wife of the late William M. Stubbert. Chrissy passed away in the Northside General Hospital on March 8, 2011. She was a kind and gentle lady, a devoted and faithful wife, a dedicated and caring mother, grandmother and great grandmother and a good neighbour. Chrissy was the daughter of Alexander and Hughena (MacDonald) MacNeil. She grew up on the south side of Boularderie in Groves Point. Upon marrying she spent the remainder of her life in Millville on the north side. 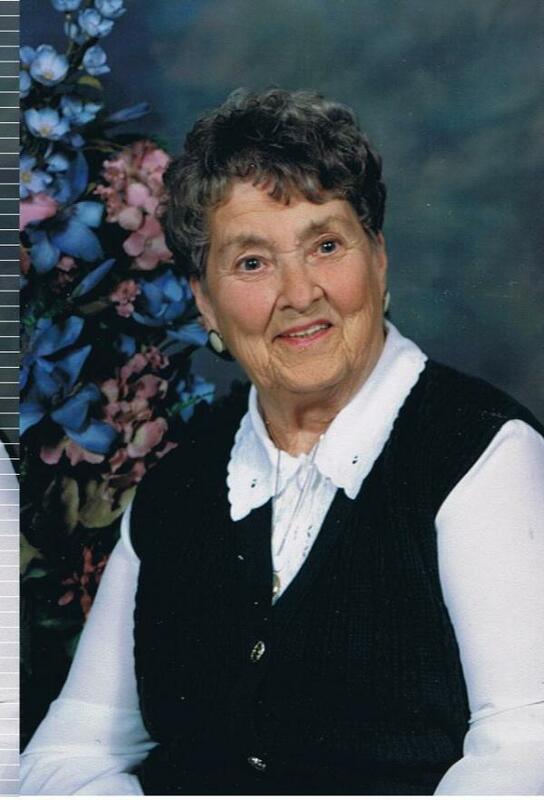 She dedicated her life to raising her family and was an accomplished seamstress and cook. In her younger years she enjoyed furniture refinishing, gardening and various other handiworks. She cared about animals; birds and strays that visited her yard were always fed. Chrissy was a member and honourary elder of St. John’s United Church, Big Bras d’Or, Johnstone Chapter of the Order of Eastern Star and a lifetime member of St. Johns U.C.W. She is survived by brother, John A (Sadie) MacNeil, Millville; daughters, Harriet Andrews, North Sydney, JoAnn Crenshaw, Marrimac, Mass., Wilma (Kevin) Carey, Sydney Mines; sons, Harold, St. Catherines, Ont., Clifford (Astelle), Millville; grandsons, Jay and Joel Leclerc, Troy and Jason Stubbert and Calum Andrews; step grandchildren, Nicole and Jesse Gough; 11 great grandchildren and 3 step great-grandchildren, as well as numerous nieces and nephews. Besides her husband and parents, she was predeceased by her siblings, Matilda (James) MacKenzie, Harry, Chester (Nancy), Malcolm (Lillian), grandson, Josh Andrews and son in law, Ralph Andrews. Visitation for the late Mrs. Stubbert will be held 2-4 and 7-9 p.m., Friday, March 11 in Fillmore and Whitman Funeral Home, Sydney Mines. Funeral service will be 2 p.m. Saturday, March 12 in St. Johns United Church, Big Bras d’Or. Rev. Louis Ihasz will officiate. Donations in her memory may be made to Philae Shriners or a charity of choice. Online condolences may be made by visiting www.fillmoreandwhitman.com.